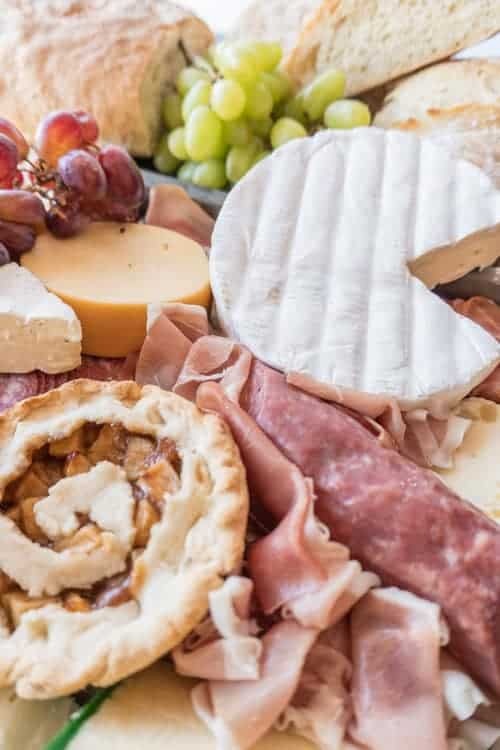 This meat and cheese platter is one of my favorite things to snack off of, not to mention it creates a beautiful food display worthy of any party! Ever since I was little I’ve been reading lots of fun books about characters who go on quests and stop by taverns for some well-deserved food. All the characters always seem to eat cheese, bread, pieces of meat, and a little fruit. 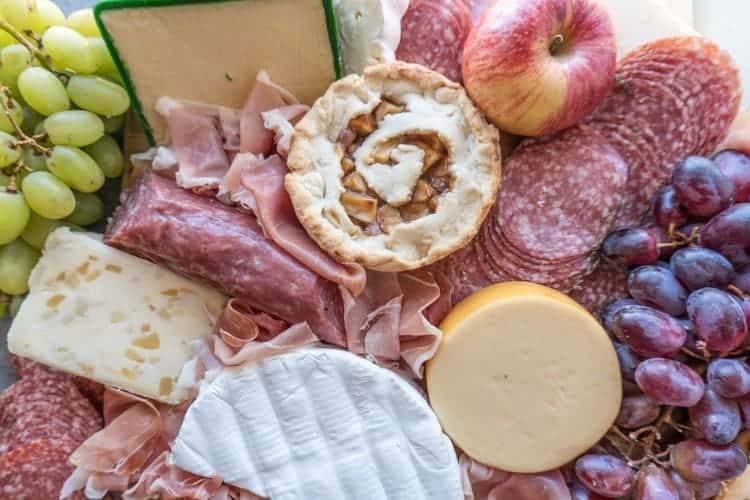 Even though this meat and cheese platter is much more fancy than what the characters would enjoy on a quest, I like to think they would enjoy it nonetheless! I’ve wanted to make a one of these beautiful platters for some time and finally got around to it! It was perfect timing because I has just made my mini apple pies and my easy homemade bread, (both are part of my Hearthstone Menu!) so naturally I wanted to combine all my yummy food into one delicious platter. Add in some cheese and meat and you have yourself an amazing and delicious display! This could be considered a charcuterie board, which is a French word for cooked meat and is usually displayed with cheeses and several types of meat, but I like to just call it a meat and cheese platter. I’ve included some of the best cheeses on this board and some of my favorite salamis. 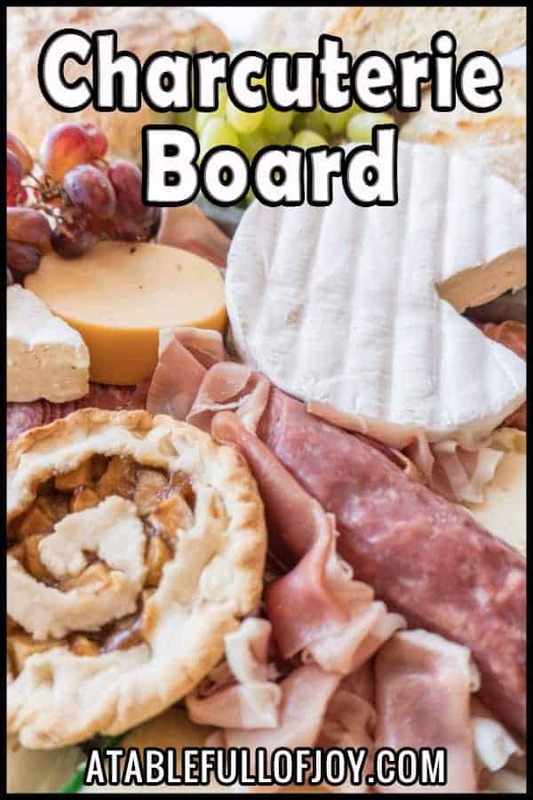 So what specifically is included in this meat and cheese board? Usually when I buy cheese I only get what I need, but it was so much fun going shopping for this cheese platter. I took my time looking at all the different cheese and enjoyed picking out ones I thought would taste and look good! 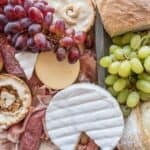 Have you ever made a meat and cheese board? 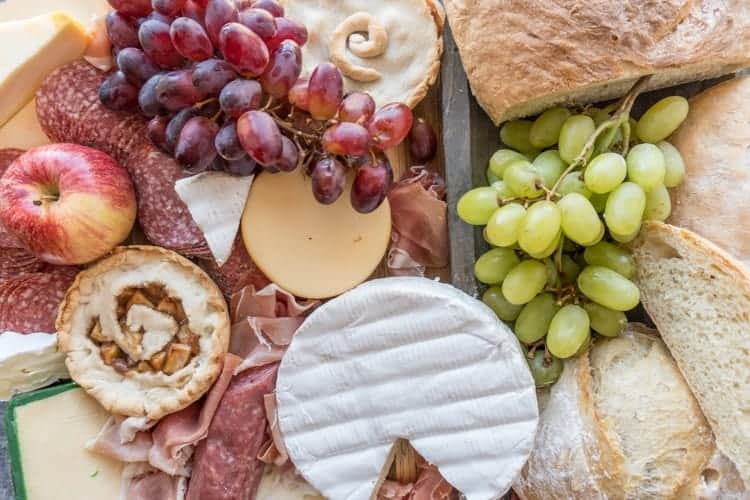 What kinds of meats and cheeses did you include? For more fun recipes check out my homemade bread, mini apple pies, chocolate cupcakes with a marshmallow frosting, and my Disney sugar cookies! If you want to know what kinds of books I enjoy reading you can read more about it here and here! 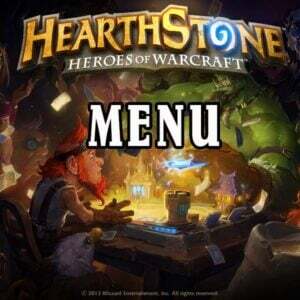 Check out my Hearthstone Menu where I share other fun recipes like this! Wondering what Hearthstone is? Read about all about this fun game here! 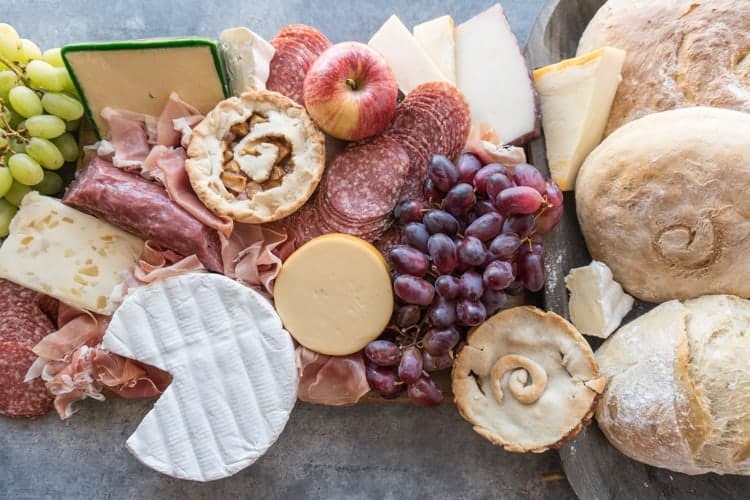 This meat and cheese board is filled with so many delicious items and it’s not just limited to meat and cheese! Fruit, mini pies and even some bread go perfectly with this delicious tray of goodies! Start with a large wooden cutting board or tray. Begin laying out some of the larger cheese wedges, bread and fruit. Fill in the spaces with slices of cheese, meat, and smaller fruit. I love making charcuterie boards!! I actually made one for my son’s birthday! I also like making themed ones like once I made a greek one!! Delicious!! That is a gorgeous cheese platter worthy of even the grandest of adventures. My favorite cheese to include is gruyere, whatever else I have, I always have that as a staple. What a gorgeous platter and so perfect for festive gathering. I also love how easy it is to make, but looks like a million bucks. I never made a meat and cheese board yet. but thanks for this idea. we eat a lot of cheese, meats, and fruits, so this one is perfect. Gorgeous platter! I need to make one soon. And I love your story about how your think of adventurers out on quests eating this, because I totally agree! I love tavern food and the cheese platter looks inviting. I could eat it all. This cheese board would be perfect with friends on Sunday for brunch! Mini apple pies in a cheese plate? I just found my new love! Right! I love apples and cheese together so it just makes sense! Thanks so much! It does add a nice variety!